After posting my Whole30 Guide to Chipotle, I felt addicted inspired to continue with the food researching, because... it's fun! & Actually a little disturbing, since there are several ENTIRE restaurants that are non-compliant on a Whole30... like even a chicken breast and romaine is off limits because there are so many additives. Scary! Anyway, I decided to dig through the Starbucks menu & come up with another list of "YES" & "NO" items for your Whole30. 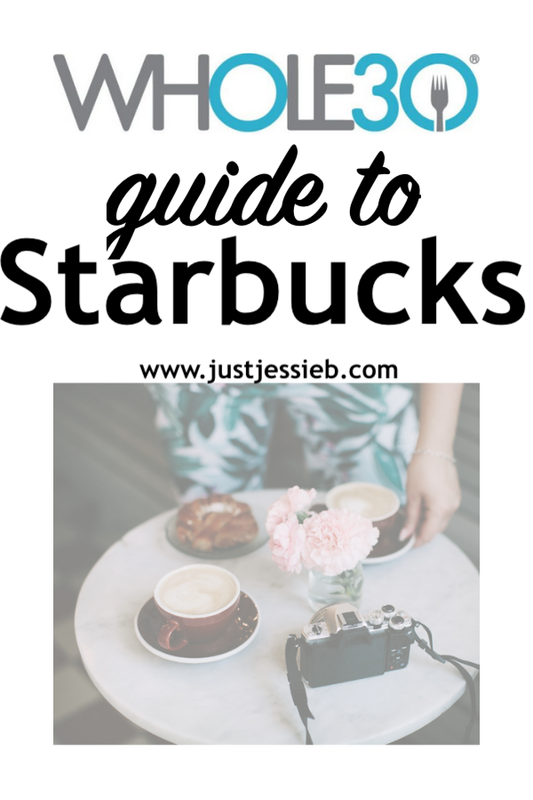 Everyone has a Starbucks, and I thought it would be nice to know what you can grab if you're on the road or out to coffee with a friend while doing your Whole30. & Again, I'm leaving out the obvious "NO" items such as cake pops, breakfast sandwiches, bistro boxes, baked goods, etc. The list below is for the not-so-obvious items that you may have wondered about. Don't forget to click the links to check out the ingredients lists for yourselves! I am really loving these posts! Melissa of whole 30 posted a while back on Instagram the label for the Teavana passion fruit they use at Starbucks and it's different and does NOT contain sugar so it IS Whole30! Just an FYI!